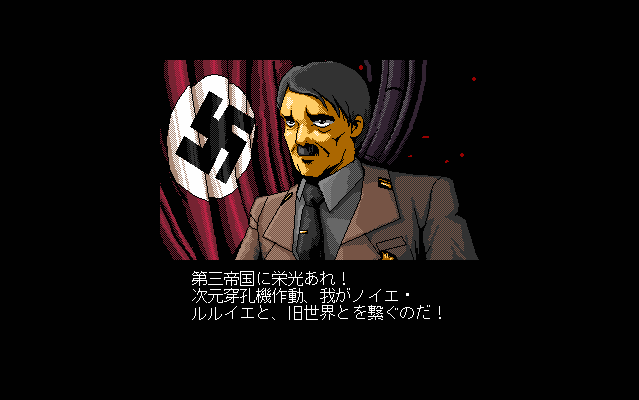 This game contains futuristic Space Hitler. 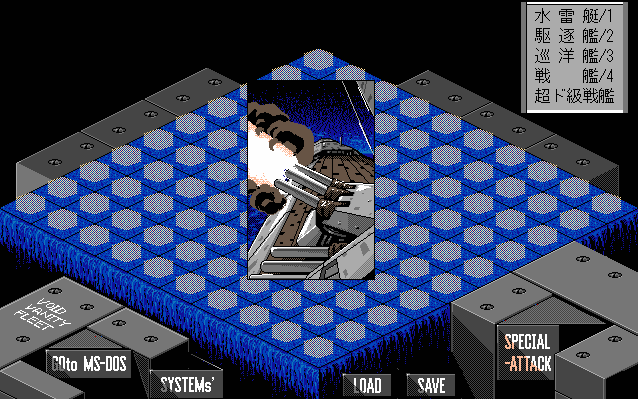 For that reason alone, you should probably play it, but it's a pretty nice Battleship (the boardgame) clone. 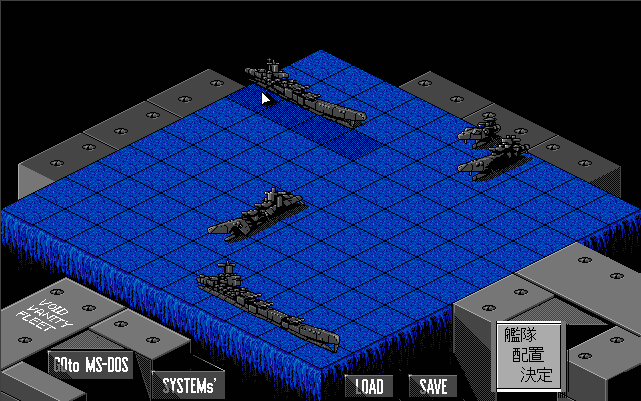 It's played with the mouse, and you can place your ships with left button beforehand, and rotate them with the right. Then you and your opponent take turns shooting at each other. There's also some special weaponry. Really, the only disappointing thing was the enemy's ships being destroyed is only shown as smoke rather than a nicer graphic. 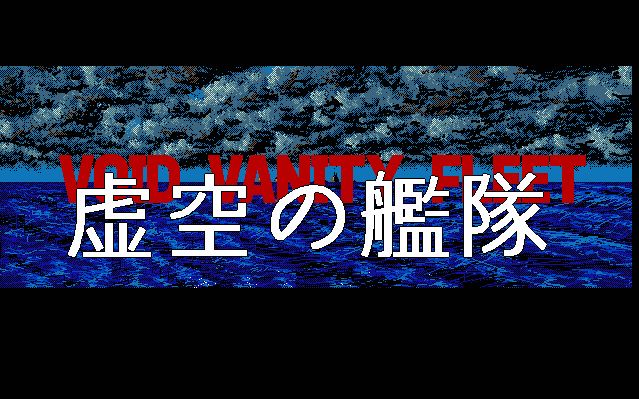 This game was featured on a Takeru compilation CD for doujin games.